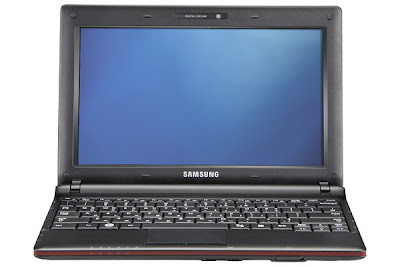 The upgraded version of Samsung's N150 netbook named Samsung N150 Plus (N150-11) Netbook now available for sale through online.The new Samsung N150 Plus (N150-11) Netbook can be purchased through Best Buy online store for a price tag of $349.99. The upgrades includes increased storage capacity ie the notebok now packs a 250GB HDD rather than the old 160GB HDD.Other updates are Microsoft Office Starter Edition 2010 preloaded, utility for reducing power in sleep mode and the new version comes with two lid colors ie black/red shade options. 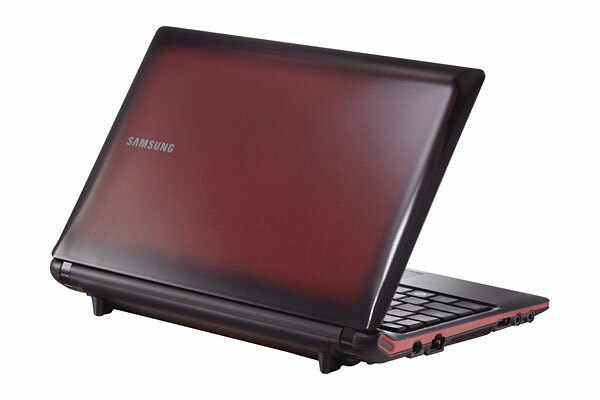 The new Samsung N150 Plus netbook equips a 10.1-inch matte LED display with resolution of 1024 x 600 pixel and is powered with 1.66GHz Intel Atom N450 processor.The netbook houses an Intel GMA 3150 integrated graphics card. Samsung N150 Plus netbook comes with 1GB DDR2 RAM and a 250GB hard disk drive working @ 5400rpm.The Samsung N150 Plus Features includes 802.11b/g/n Wi-Fi, 10/100 LAN, Card reader, 3x USB 2.0, 0.3MP webcam and a 6-cell lithium-ion battery as a back-up power option providing about 9 hour of battery life.The netbook weighs weight 2.7 lbs and available pre-loaded with Windows 7 Starter OS. Tags:-10.1-inch netbook, netbook, Samsung N150 Plus netbook features, Samsung N150 Plus netbook specifications, Samsung N150 Plus netbook launch, Samsung N150 Plus netbook release, Samsung N150 Plus netbook colors, Samsung N150 Plus netbook price, Samsung N150 Plus netbook price tag, Samsung N150 Plus netbook price details, Samsung N150 Plus netbook online price, Samsung N150 Plus netbook online availability, Samsung N150 Plus, Samsung N150 Plus (N150-11), Samsung N150-11.